The Cistus is a genus of small shrubs of the Cistaceae family. The different Cistus species constitute an important part of the Mediterranean woodlands and scrub. In the world there are 31 different species of Cistus. 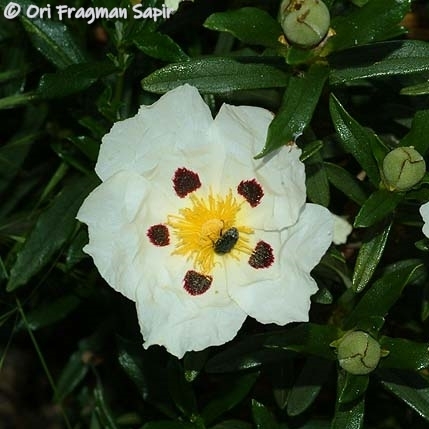 In our garden there are 17 species, and this month we are focusing on one special species: Cistus ladanifer – the Gum Rockrose. 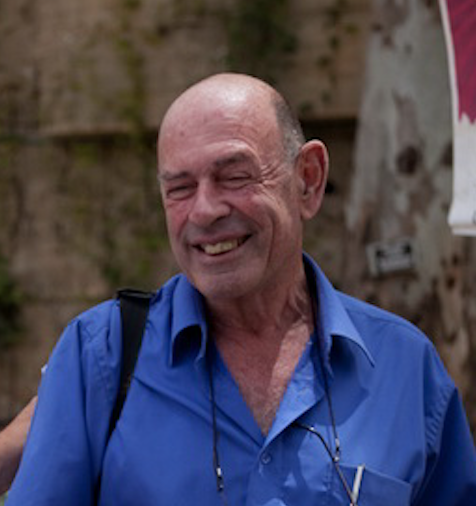 It is with a heavy heart that the Jerusalem Botanical Gardens announce the passing of Dr. Michael Avishai, a world-renowned botanist and horticulturist Michael was among the Gardens’ founders, managed the Gardens for many years, and cultivated it for more than five decades by conducting scientific research, writing, and teaching in the Gardens to his last day. A gentle man with an indomitably energetic spirit, he will be sorely missed by all the Jerusalem Botanical Gardens family. May he rest in peace. The funeral will take place tomorrow, Monday, December 31st, in the Modi’in Cemetery, at 11:00am. Block: 05, Section B, Row 1, Plot 4. Learn about practical gardening, urban nature and the environment at Thursday morning meetings. 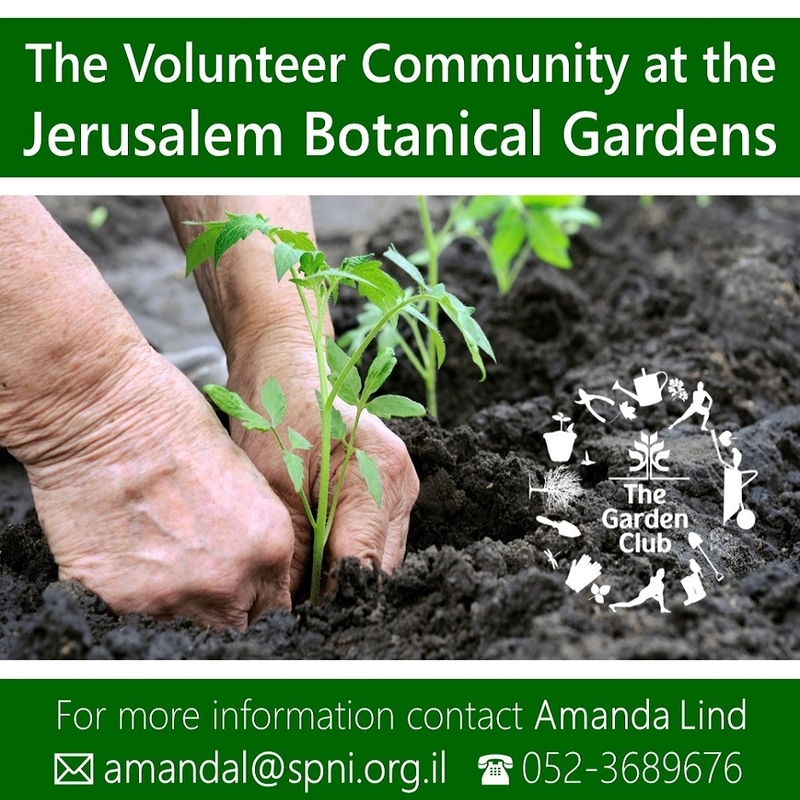 Join one of the many volunteer options across the city, and help turn Jerusalem “green”. 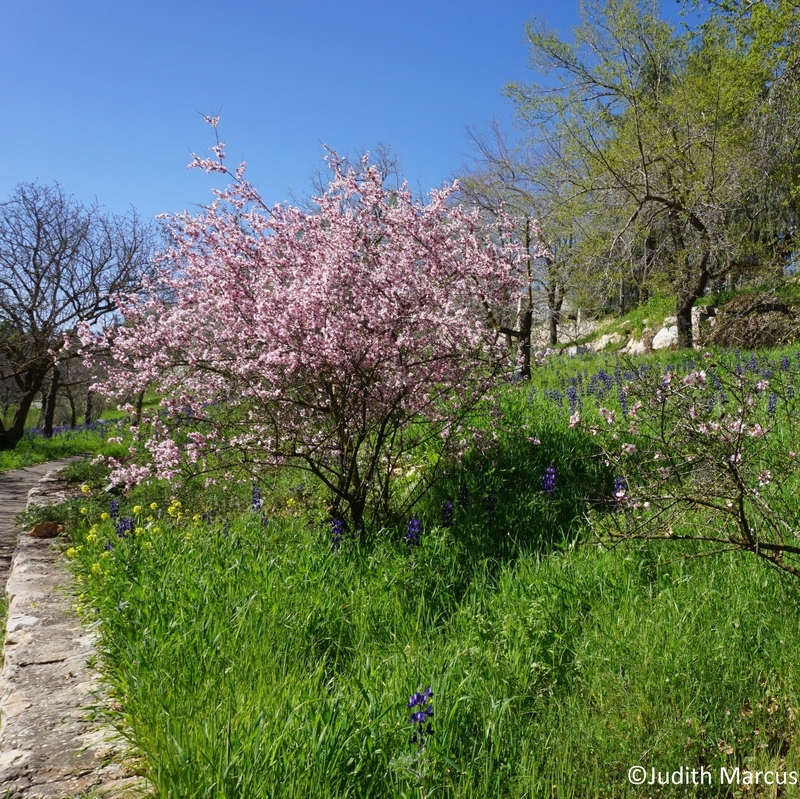 The Jerusalem Botanical Gardens is a gem in the heart of Jerusalem serving as an education and research center and holds a diverse collection of plants from around the world displayed geographically. Its aim is to inspire and instill mindful custodianship of plant diversity within the environmental context as a basis for our physical and cultural existence. 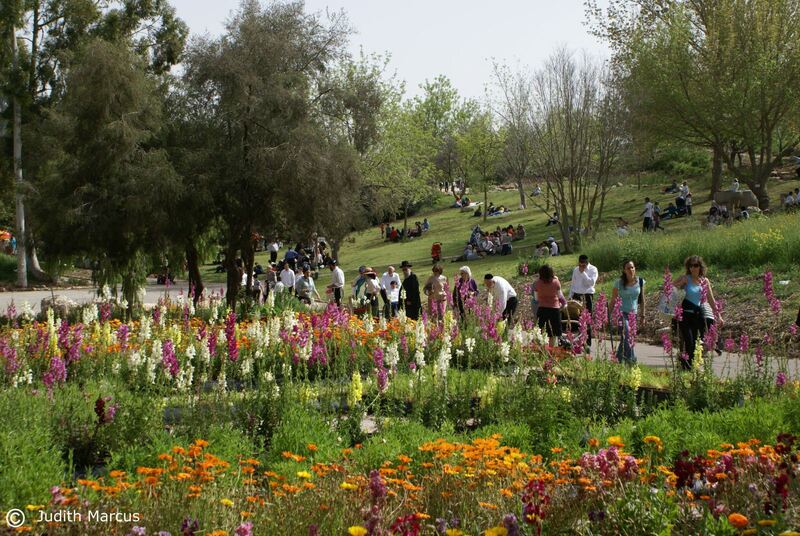 The Jerusalem Botanical Gardens attracts people from all backgrounds for educational, scientific, cultural and recreational activities related to botany, horticulture, agriculture and environmental protection. The Gardens’ staff, works to influence public policy in these fields. The Gardens run a wide variety of activities for children and youth, in Hebrew and Arabic. The Garden’s School of Horticulture offers a wide range of courses and workshops to amateurs and professionals alike. The Gardens are gradually expanding activities for a wider variety of ages and interest groups. The Gardens’ motto is “Plants Grow People”. We see the evidence for this every day. Whether it’s families with young children, senior citizens, religious, secular and ultra-orthodox Jewis, Arabs, new immigrants, people with special needs – everyone benefits from nature and exposure to the beauty and tranquillity of the Jerusalem Botanical Gardens. So come and let the Gardens work their magic on you too! 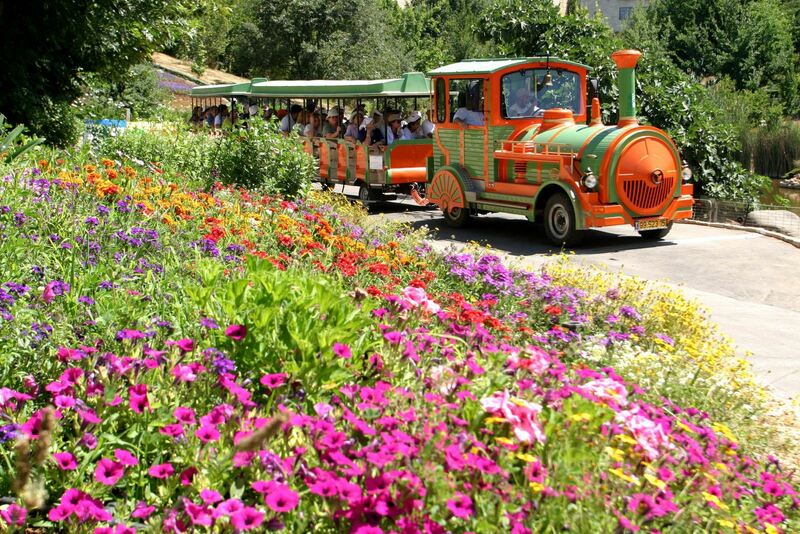 For groups who book in advance; the Flower train offers roughly half an hour’s guided tour of all the Gardens’ sections. 2. An audioguide for the Bible Path is available in Hebrew and in English. Additional self-guided tours will soon be downloadable from this website. While our visitors of all ages are expected to respect our floral exhibits, and not to trample over the flower beds (! ), the Gardens’ staff are constantly thinking of ways attract families with children and to give them a good time! Ask at the ticket desk for a Young Scientist’s Backpack with activities and a magnifying glass! or explore the Children’s Discovery Trail, to independently learn about what enables plants to grow – water, soil, sunlight and roots. The Dworsky Tropical Conservatory is currently closed for expansion and renovation but we expect to be able to re-open it late this year. The Gardens’ grounds provide the perfect setting for groups of all ages! A variety of activities can be tailored to groups of a few people, up to crowds of thousands! Add to that extensive parking and a high level of maintenance, and you have the right combination for a quality experience. 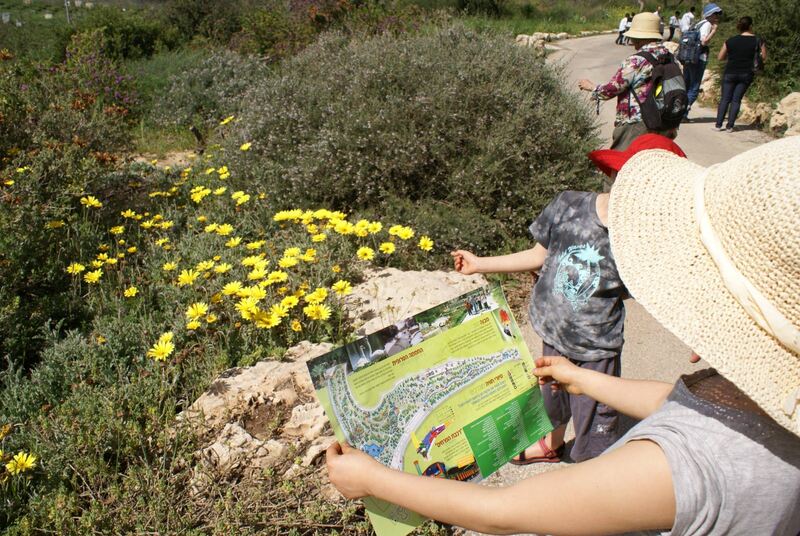 The natural surroundings at the Jerusalem Botanical Gardens facilitate the perfect day out for groups of all ages! The activities, workshops and tours on offer are suitable or can be adapted to any group. 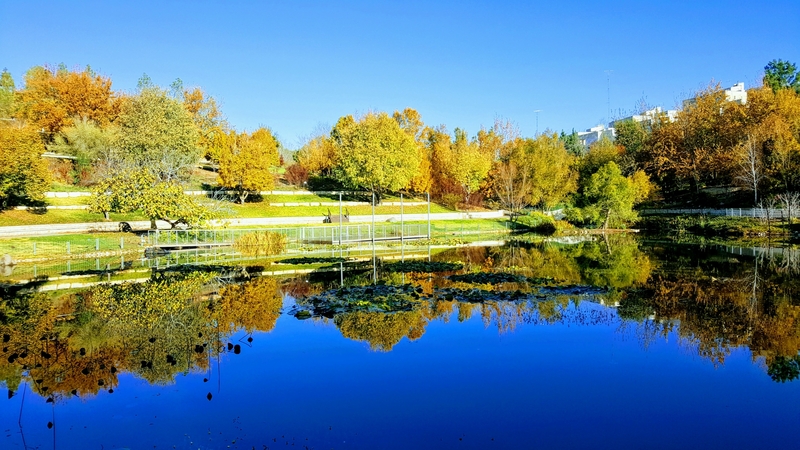 The Botanical Garden is over 30 acres of beautiful natural open space in the heart of the city – suitable for small groups or groups of thousands thanks to its open spaces and comfortable parking.